Most of you might have already heard the news! 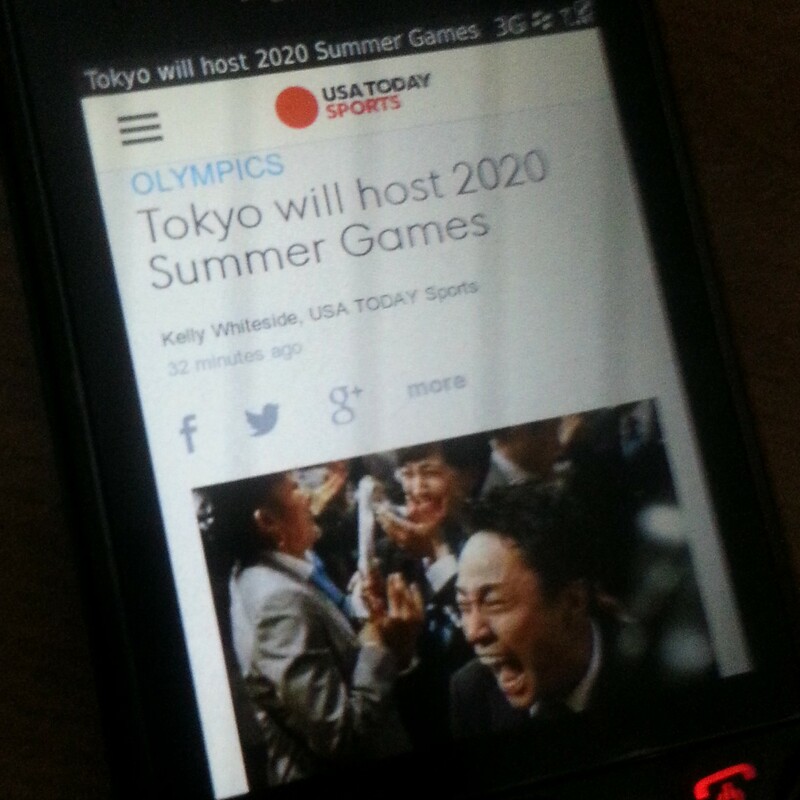 Yup, that’s right, Tokyo will be hosting the 2020 Olympic Games. It’s a big joy for the Japanese as well as people who love Japan all around the world. Tokyo will once again host the event for the first time since 1964. Not many of you know, Japan were also awarded the event in 1940 but the Games were cancelled due to World War II. Japan also lost their bid to host 2016 Olympic to Brazil. The latest announcement came at 5:20 a.m. Tokyo time. A large crowd watching from an outdoor giant video screen burst into cheers. I Now, that’s a dream come true!! !